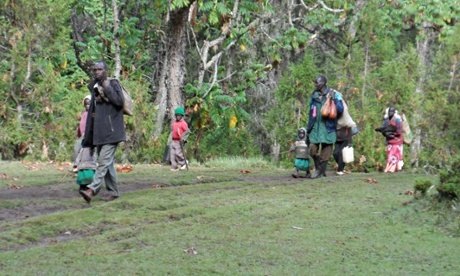 The World Bank has failed to protect one of Kenya’s last indigenous hunter-gatherer people, according to a leaked report from the Bank obtained by the Guardian. Sengwer homes were burned down in their thousands by Kenyan forest guards earlier this year in an attempt to offset carbon emissions by reducing deforestation. More than 1000 Sengwer people have been left homeless, and are now classed as squatters by local authorities, enduring government harassment and the threat of arrest. In February the evictions caught the attention of World Bank President Jim Yong Kim after 950,000 people signed an Avaaz petition condemning the evictions, along with rights groups. Because the World Bank had helped to fund the project which forced the Sengwer’s evictions, the Bank agreed to assess its involvement and found it had violated the safeguards it sets for its projects, according to the leaked report. Tragically, the World Bank management decided to ignore the recommendations made by the independent assessment panel. On Tuesday the World Bank will make its final decisions regarding the case in a board meeting headed by Kim. Right now more than half of the evicted people are said to have returned to their land, but halting the evictions altogether depends on Tuesday’s meeting. “The eviction of such ancestral communities leaves the indigenous forests open to exploitation and destruction; whereas securing such communities rights to their lands and responsibility to continue traditional conservation practices, protects their forests,” said the Forest Peoples Programme.